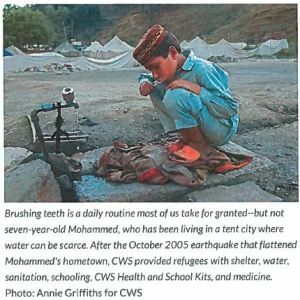 In the face of natural disasters, violence, or grinding poverty, Hygiene Kits can mean the difference between sickness and health for struggling families. 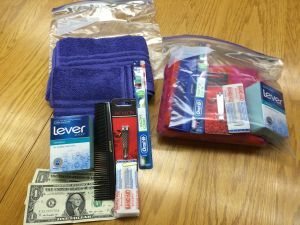 Place all items in a one-gallon plastic bag with a zipper closure, remove excess air from bag, and seal. Please do not add toothpaste to the Hygiene Kit. Cartons of toothpaste that have an extended expiration date will be added to the Hygiene Kit shipments just prior to shipment. Financial donations will also be accepted for the processing and shipping costs of $2.00 for each kit.